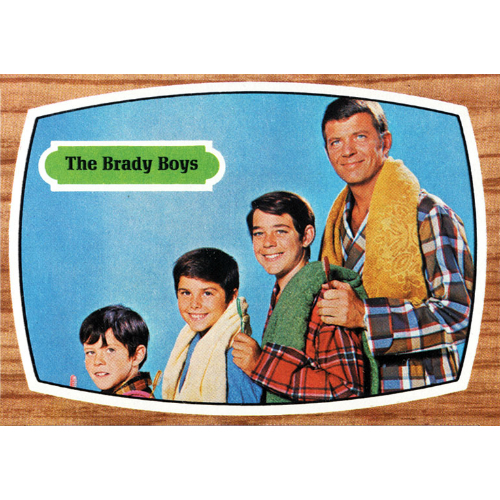 1971 Topps Brady Bunch trading cards can be a bit of an adventure for collectors to track down. 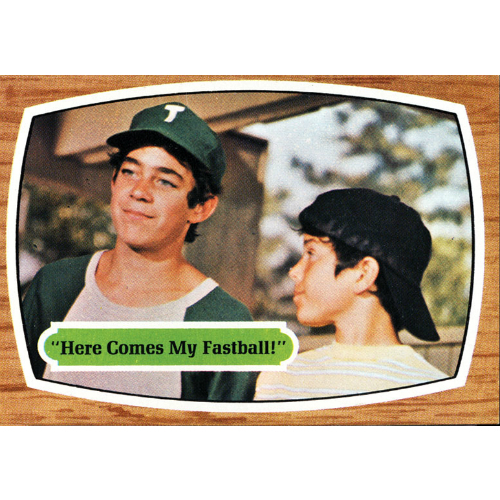 For starters, there is a discrepancy between the release year so graded cards can be found listed as 1969 or 1971. These are the same sets. 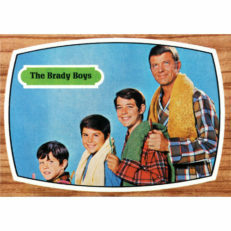 The copyright for this set is labeled as 1969 but they were not officially released for two more years. 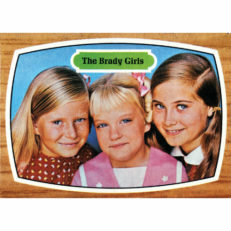 To further add to the confusion, a test set of 55 cards was released in 1970. The only difference between these cards and the standard 88 card set is text on the reverse of each card referencing a specific sized set. 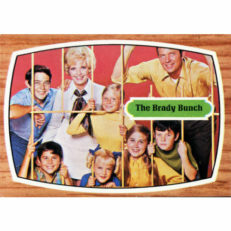 The front of each card is a still from the television series set inside a border designed to look like a television console. 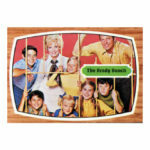 The reverse of the cards combine to make larger puzzle images. 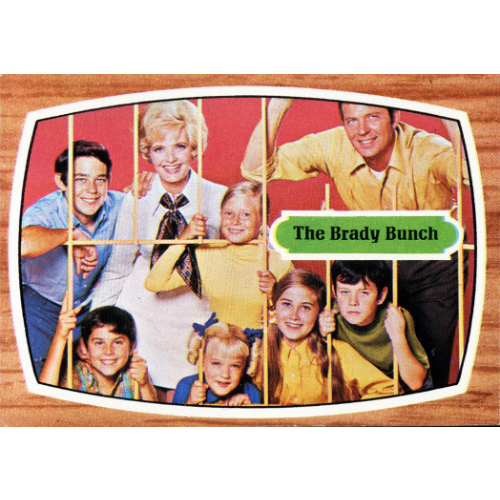 The sustained popularity of this iconic television show have kept prices for this set fairly healthy and highly graded cards are common on the marketplace. Our checklist includes all of the cards in the main series and can be sorted or searched as needed. 12 Stuck In A Stockade! 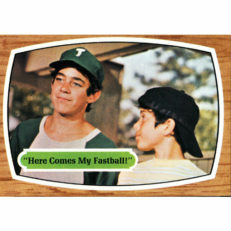 14 Here Comes My Fastball! 16 Break It Up! It's Bedtime. 23 Long Distance Phone Call! 28 Sometimes I Hate Ice Cream! 30 A Couple Of Hungry Kids! 33 I'm Ready For Action, Coach! 35 King For A Day! 36 Uh-oh, Here Come The Indians! 42 Trying To Get A Date! 43 Sorry For The Turkey! 46 Man To Man Talk! 50 A Boy's Room Is His Castle! 51 Alice, You Grew A Beard! 54 Someday Let's Eat Alone! 56 You Did It Again! 58 Come And Get It! 62 A New Rock Star? 86 A Tired Young Man!